It’s that time of year again, children are going back to school. The summer fun of staying up late, lounging by the pool, picnics and bbq’s with friends (during the weekdays), and late night zoning out in front of the tv to or video gaming is coming to an end. For some children starting school can be very exciting, mostly because they’re happy to see friends who they were unable to see during the summer. However, for others starting school can bring on a bit of anxiety, especially if they’re attending a new school. As parents, it’s our job to make the first days of getting back to school as comfortable as we can for our children. Happy children, equals happy parents, it’s that simple. Make sure your child has enough sleep – If your child had a late bedtime during the summer months and you allowed them to sleep in (as we all tend to let them do), an easy way to transition them back to a normal school day bedtime is to have your child go to bed one hour earlier every night as well as wake them up earlier. You should start this a week or two before your child goes back to school. Recommendations for an adequate amount of sleep ranges typically by age. Revisit our blog on “The Importance of Sleep” for more details: https://novellcounseling.org/the-importance-of-sleep/ It is important to set a school bedtime schedule and to remember to enforce it. Communicate with their new teacher or school – A common fear for children is attending a new school and or having a new teacher. Keeping up with school events is a great way to start. Attend the open house or back to school night. Usually during these events school tours are offered as well as a meet and greet with teachers. Also, consider joining the PTA. Meeting other parents is a great way to familiarize yourself with the schools routines, student drop offs areas, school policies, and to learn about the teachers. Make sure your child is prepared – Requirements for each school will vary. With that said, make sure your child has completed all requirements to begin their first day. 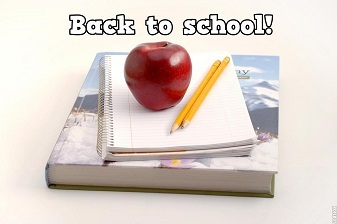 Example, make sure vaccines are up to date, all registration forms are complete with proof of residency if needed, make sure you know the school schedule (to include when they start & time, also when you need to pick them up) Make sure your child has the supplies that are needed for their first day. Each school or teacher will provide a list of supplies that is needed. (Example, backpack, pencils, binders, paper, etc.) Provide your child with healthy meals. It has been said that nutrition plays a significant part in your child’s performance, and also hungry children have difficulty with concentration. You can help your child by making sure that he/she eats a healthy and well balanced breakfast and lunch each day. If your child eats meals at school, familiarize yourself with the menu to avoid any missed or skipped meals by your child. (Example, he/she doesn’t like what is being served, is allergic, etc) If your child takes lunch to school, a good way to encourage them to eat healthy is allowing them to assist you with the planned menu and preparation of the meal the night before. As stated previously, happy children, equals happy parents. Talk with your children – Discuss their fears, and or concerns about school or anything else that is bothering them and LISTEN to them. Lastly, take care of yourself – It’s important to remember not to forget about “you” in this process. Try to schedule at least thirty minutes of your day for “YOURSELF”, only you. This time should be blocked out to avoid any interruptions from others. It is the time where you can unwind. — take a bath, go to the gym, take a walk, are some options. The back to school process doesn’t have to be a stressful one. Find out what others are doing and what is working for them, you might be surprised to find it may work for you also. Remember you’re not alone, ask for help if needed.